Aries: You will meet your match very soon while enjoying fun in the sun. Widening your relationships and connections become a hot priority for you. Taurus: Contemplating new enterprises and adventures troubles you some. Don’t give up what you already have. Expansion, rather than contraction is likely. Gemini: Your mind has been on the go — racing with thoughts. After a lot of mental tension, and growth, you’ll receive a much needed rest from your brain; however, you’ll keep moving social butterfly. Cancer: On June 22, the Sun enters the sign of Cancer. Happy Birthday! Mercury is also retrograde in your sign on the 26th, so this means you’ll take time out to re-evaluate where and whom to offer your support. Charitable and volunteer service is a possibility as it builds your passion for community. Also, enjoy Jupiter coming into your sign on the 30th. There might be new family or old family coming back. Your home, and family expands. Leo: Your artistic and love opportunities are beginning to bloom. You’re being shown the light, out of the dark. Reach towards it, and gain much needed additional resources. 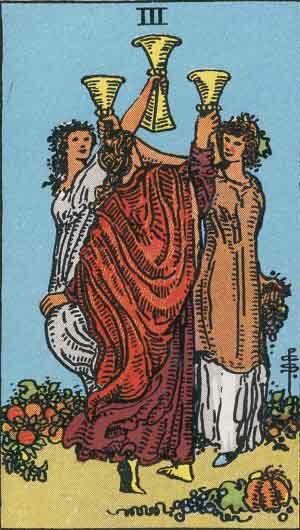 Virgo: A position of authority is offered to you. You might take just because you were asked to do it; however, you would rather work behind the scenes unnoticed. This isn’t quite your time to shine yet. Libra: Many want your attention, and you’re attempting to fend off questions about your next move. Instead of allowing others to overwhelm your energy, tell people they’re going to have to wait for your answer. Scorpio: You’re faced with a choice of what you know, and something new – what’s the sweeter deal? A destined teacher of sorts comes into your life – welcome them in. Sagittarius: Expanding your horizons and being on the move, is what would make you feel most comfortable right now but there is a feeling of being stuck and powerless – without a voice to move forward. Capricorn: Pack your bags for an unknown adventure. Don’t think too much about it, just get out there and bust a move. Aquarius: This is a great time to help your fellow man out by doing some social activism, a fundraiser, or physical activity. Meeting with friends offers refreshing new ideas. P isces: Seek or offer comfort from or to a broken soul, due to spiritual or financial loss. The next little while will tax your emotional reserves. Keep your calm and balance when the world spins around you.